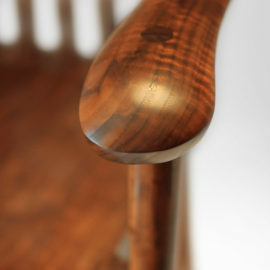 The South Yuba Arm Chair is a dining and occasional chair rendition of our classic, handmade rocking chair. 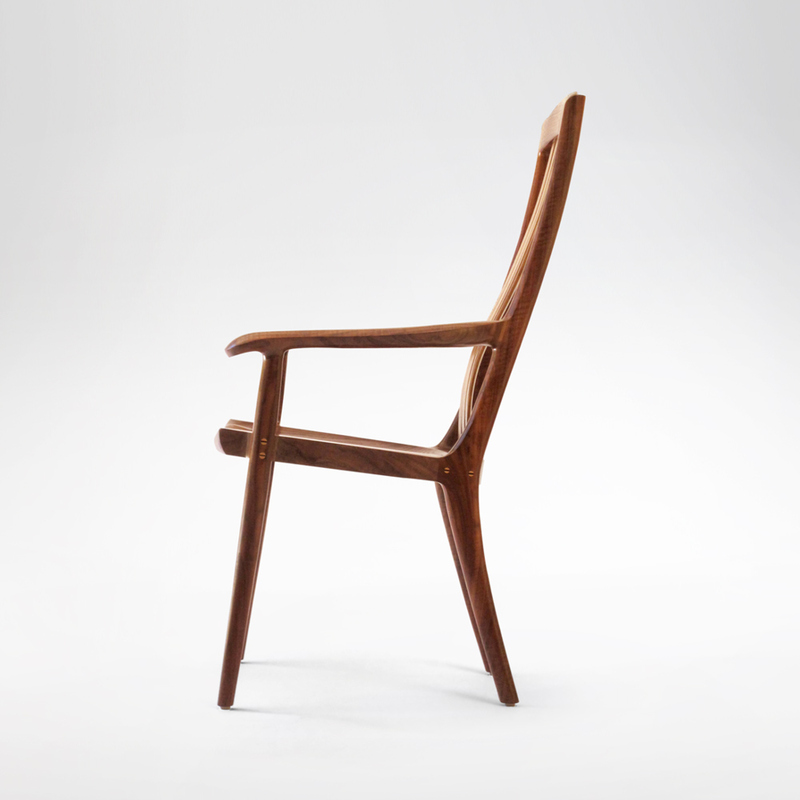 Place it at the head of your conference or dining table, in your living or sitting room, or at your office desk for an elegant, ergonomic seat. 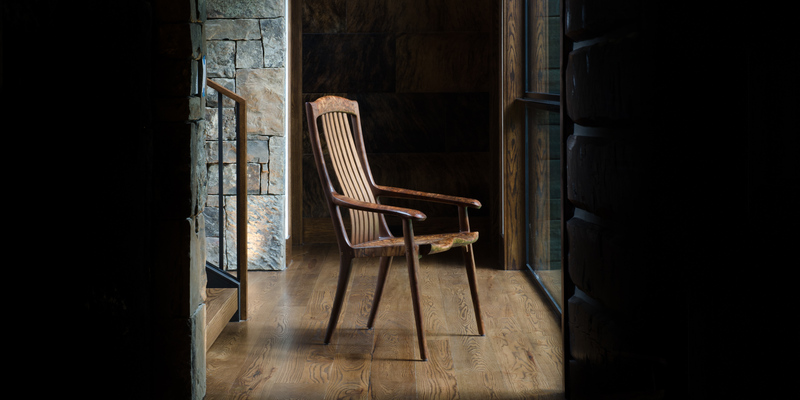 Much like our South Yuba Rocking Chair, the sweep of the arms on this handmade chair appear effortless but require two hours of careful handwork to create, and is sculpted using nothing more than a pencil to sketch the layout and two simple shaping tools. 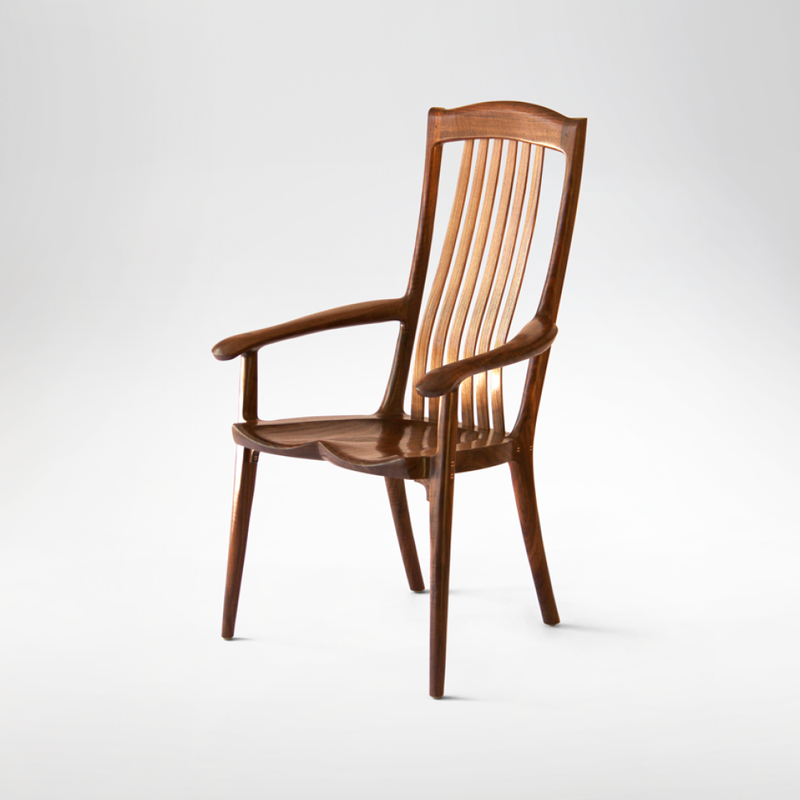 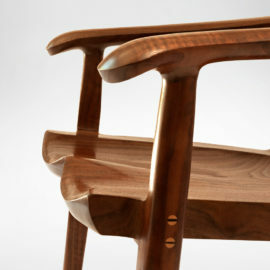 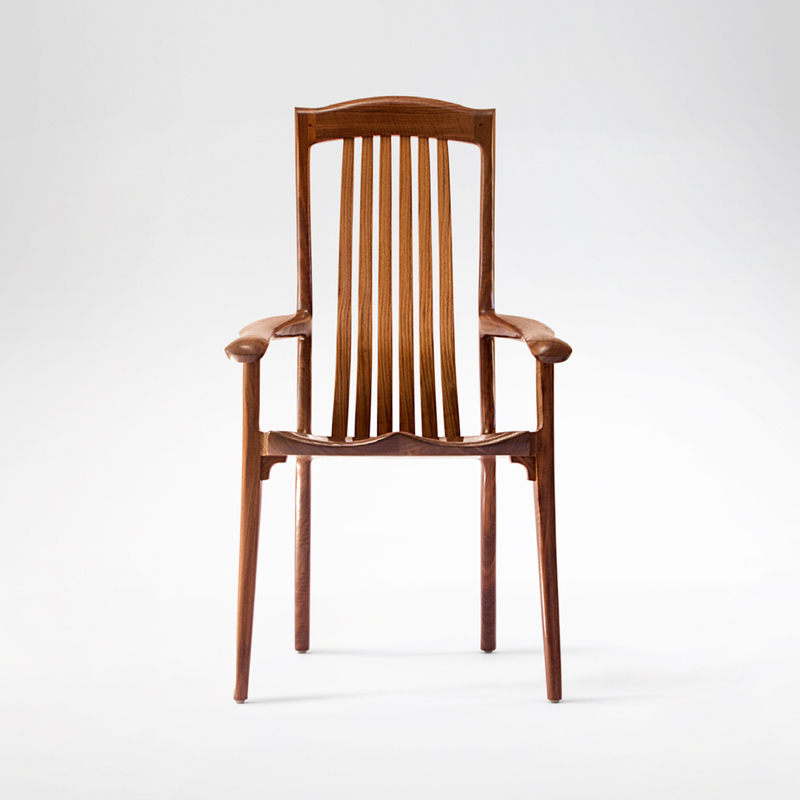 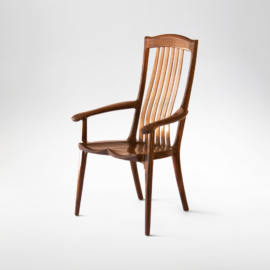 The flexible back slats, an invention of Robert Erickson’s originally implemented on the South Yuba Rocking Chair, provide long hours of relaxation. 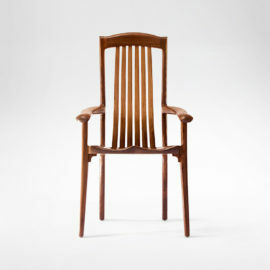 Our South Yuba Arm Chair can be crafted with a wood or upholstered seat as the client chooses. To ensure a comfortable arm chair fit, we can customize its proportions.